Add a fun and funky look and feel to your dining and entertaining area with this adjustable bar stool. 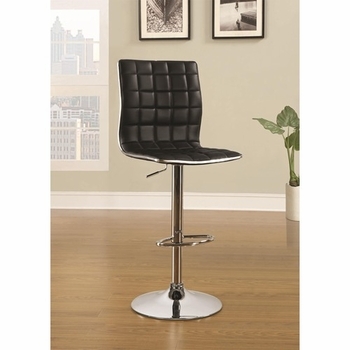 Crafted with a modern chrome base, it has a footrest for convenience and comfort. 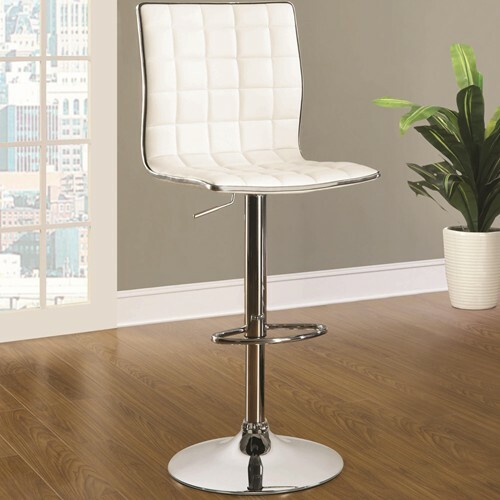 The seat and seat back are upholstered in a waffle texture that bring visual depth and dimension to the stool's design. An adjustable lever allows you to adjust the seat height from 40.75" to 49" to best suit your needs. Available in two colors, including white, and black.